In the midst of this living hell was a beautiful and regal-looking liver and white English pointer named Judy. Whether she was scavenging food to help feed the starving inmates of a hellish Japanese POW camp, or by her presence alone bringing inspiration and hope to men, she was cherished and adored by the Allied servicemen who fought to survive alongside her. 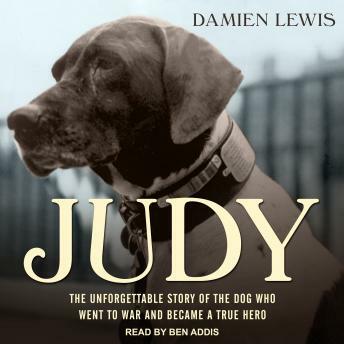 From the author of The Dog Who Could Fly and the coauthor of Sergeant Rex and It's All About Treo comes one of the most heartwarming and inspiring tales you will ever hear.